A poll (run by some Harvard students). 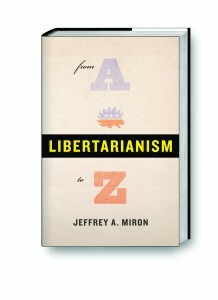 My old friend and sometime coauthor Jeff Miron has published a new book, Libertarianism, from A to Z.
Harvard students will recognize Jeff as the professor who regularly teaches Ec 1010a, Microeconomic Theory, as well as Ec 1017, A Libertarian Perspective on Economic and Social Policy. You can find his blog here. My friend and sometime coauthor Phill Swagel describes what is wrong with the financial regulation bill now being debated in Congress. Esther Duflo has won this year's John Bates Clark Medal. Click here for a description of her work in general. 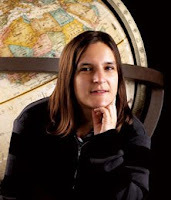 Click here to read her most cited paper (more than 1400 cites in Google Scholar). Now is the time in the academic year when many professors order textbooks for next year. Do you need a recommendation? Of course not. If you are here perusing this blog, you are probably already making a wise choice. But perhaps you are new to teaching and need some information about my favorite textbooks. Or perhaps you want to learn more about many of the wonderful supplements that accompany them. If you are an instructor and are interested in learning more about any of the five versions of my principles text (shown above), the person to contact is John Carey. If you are interested in my intermediate macroeconomics text (shown to the left), the person to contact is Scott Guile. 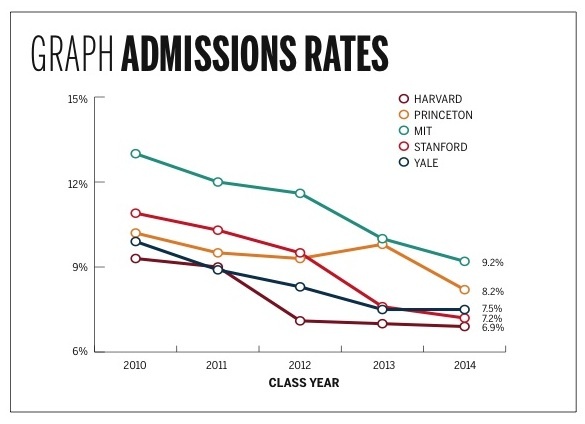 My Harvard colleague Ed Glaeser discusses an intriguing empirical regularity. ...is looking for recruits. If you think I am "an instrument of bourgeois ideology," you may want to sign up. Update: Kenneth Anderson says that today's students would view this as a cool back-of-the-book endorsement, as in "This instrument of bourgeois ideology will have a permanent place on the bookshelf of your mind." My own forecast calls for about 3 percent growth per year over the next two years, as opposed to the consensus view among economists, which is 3.5 percent. at one point I had tentatively titled my talk "It’s Aggregate Demand, Stupid"; but my chief of staff suggested that I find something a tad more dignified. I have long said that one of the prime motives for healthcare reform had nothing to do with health per se but rather was a desire by those on the left for greater redistribution of income. The Tax Foundation has now put some numbers to that proposition for the recently passed bill. Roughly speaking, the top 1 percent of the population pays an additional $50,000 in taxes because of this legislation, and each of the bottom 50 percent gets about $1000 in benefits. Click here for the more complete description. There is no question that the wealthy pay a higher overall tax rate than any other group. That is an American tradition. But there is also no question that their tax rates have fallen more than any other group’s over the last three decades. The only reason they are paying more taxes than in the past is that their pretax incomes have risen so rapidly — which hardly seems a great rationale for a further tax cut. Really? What if the increase in their pretax income is in part attributable to the tax cuts? David seems to be treating pretax income as exogenous to tax policy, whereas there is good reason, both theoretical and empirical, to think that it responds to policy. So I started wondering: How much of the increase of the the reported incomes of the superrich might be attributable to cuts in their marginal tax rates? Let's do some very rough calculations to illustrate the possible magnitude of this phenomenon. I will start my analysis before the first in the series of major tax reductions, which was the famous Kennedy tax cuts. Over the past half century, the top marginal tax rate has fallen from 91 percent in the 1950s and early 1960s to 35 percent today. Thus, the amount a person gets to keep at the margin has risen from 9 percent to 65 percent, that is, by a factor of 7.2. If the elasticity of taxable income with respect to 1-t is one, as some studies find for high-income taxpayers, then the incomes of the rich would have risen by a factor of 7.2 as well. If the elasticity is one-half, then their incomes would have risen by a factor of 2.7. In either case, the change in pretax income attributable to the tax cuts is substantial. By comparison, the incomes of the superrich (top 0.01 percent), as a share of total income, increased by a factor of about 5 over this period. So, it seems that for plausible elasticities, a significant portion of that increase can potentially be explained by the cuts in the top marginal tax rate. To be clear, I am not suggesting that we are now on the wrong side of the Laffer curve and that cutting taxes will increase revenue. And I will be the first to admit that we don't really know the relevant elasticity for the upper tail of the income distribution. But I am suggesting that it is a mistake to presume that changes in marginal tax rates have little effect on reported pretax incomes. Here is one answer. Thanks to Craig Newmark for the pointer. An overview from Bob Carroll and Alan Viard. I am scheduled to be on CNBC's morning show Squawkbox on Monday morning, a bit after 8 am. A study we conducted at the Tax Policy Center found that Washington would have to raise [income] taxes by almost 40 percent to reduce -- not eliminate, just reduce -- the deficit to 3 percent of our GDP, the 2015 goal the Obama administration set in its 2011 budget. That tax boost would mean the lowest income tax rate would jump from 10 to nearly 14 percent, and the top rate from 35 to 48 percent. What if we raised taxes only on families with couples making more than $250,000 a year and on individuals making more than $200,000? The top two income tax rates would have to more than double, with the top rate hitting almost 77 percent, to get the deficit down to 3 percent of GDP. As seen by Jim Capretta. 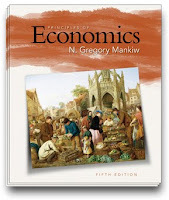 "Of all great economists, Mr. Keynes is probably the most Impressionist; the General Theory, in particular, needs to be read at a distance, not worrying too much about detail, but looking principally at the general effect. At least, that is how I have read it myself, and it seems that as a result I retain a higher opinion of it than Professor Robertson does. His own criticisms sometimes remind one of a man examining a Seurat with a microscope and denouncing the ugly shape of the individual dots. 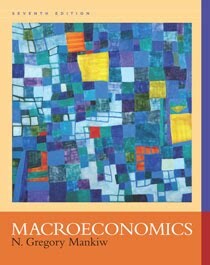 It is very probable that the Impressionist method is not particularly appropriate to the higher economics (though it may be suitable enough for more popular writing); however, it is Mr.Keynes' method, and in his hands it has some countervailing virtues." "The Monetary Theory of D.H. Robertson", 1942, Economica. My Harvard colleague Robert Barro opines, with a reading list. Today is the day Harvard announces admission decisions to the college. Moreover, as you may know, Harvard has been struggling with a sizable budget shortfall. The budget problem, however, has now been solved. Harvard has decided to auction off 100 slots in next year's freshman class to the highest bidders. If you are interested in entering a bid or learning more about the program, click here. Bids are due by the end of the day.